Is Debbie Rowe threatening Paris Jackson’s real father to stay away? Or is he threatening Debbie with exposure as a money-grubbing mercenary who sold her children to MJ for $8 million? Well, she’s definitely threatening the man pretending to be Paris’ real dad. 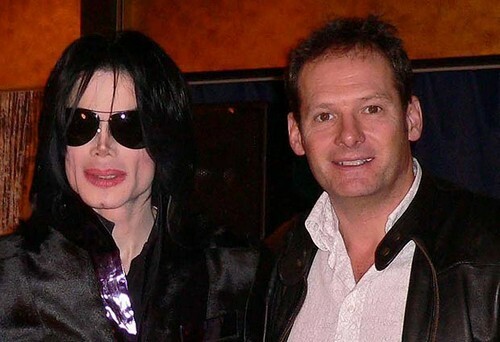 Mark Lester, a former friend of Michael Jackson’s, has come forward and stated that he is the true father of Prince Jackson and Paris Jackson, and he also says that Michael wouldn’t have wanted Debbie to have a relationship with her children. Of course, Debbie retaliated by tweeting in response, “Why don’t you go to hell. BTW surprised your family speaks to you after all the crap you spew. Good for you stay away from me and my kids.” Mark tried asking why she was being so aggressive since he only came ‘in peace’, but Debbie wasn’t hearing any of it. Debbie was supposedly thinking of moving more permanently to Los Angeles to spend time with Paris during her recovery, but will this claim by Mark cause any disruption to that? Unlikely. From the way Mark’s been going about things on Twitter, I doubt he’s telling the truth. First of all, why would you reach out to someone on Twitter? Secondly, if you really did have your ‘daughter’s’ best interests at heart, you would have reached out a long time ago. Lastly, if he really wanted Debbie to stay away from ‘his children’ and claims that’s what Michael wanted, he would try to prove his paternity so he could actually have a legitimate claim to them. From all of his actions, Mark Lester is just coming off as another lost child star looking for fifteen minutes more fame.